The latest trend in hair color right now is henna hair color. It protects and conditions hair and last up to 30 washings. Surya Brasil’s Henna Powder provides both semi-permanent hair color and deep, nourishing hair treatment for lustrous, shiny hair, guaranteed to cover gray. It protects and deeply conditions, is safe for damaged hair and uses 100% natural, plant based color. The range also features two non-color options, a neutral hair treatment and treatment for dark hair. 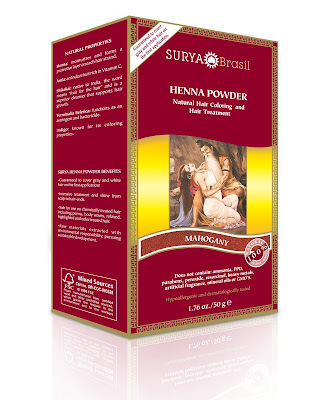 The results of Surya Brasil’s Henna Powder last up to 30 washings. Put powder in a container, pour in ½ cup of water and mix. Cover hair with the plastic cap and strictly follow the recommended timetable available inside the package. Rinse hair thoroughly and apply Surya Brasil conditioner. Contains Henna, Amla, Shikakai, Indigo and other nourishing herbs for hair. *Contains no ammonia, PPD, parabens, peroxide, resorcinol, heavy metals, artificial fragrance, mineral oil, GMO’s or gluten. 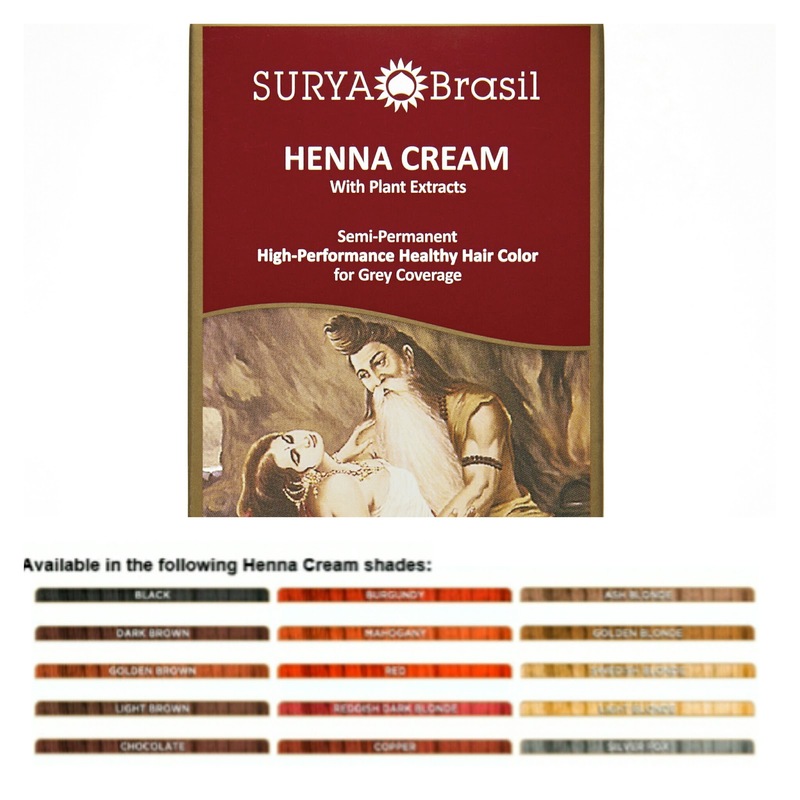 Surya Brasil Henna Cream is a high performance, anti-oxidant rich semi-permanent hair color that infuses hair with lush, vibrant color while nourishing with sustainably harvested botanicals. 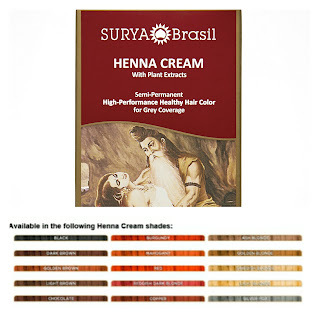 Like all of Surya Brasil’s products the Henna Cream is 100% vegan and cruelty free. Easy to use, these at home natural color shades are hypoallergenic and dermatologically tested as well as safe for use on chemically-color-treated hair and highlights. Every shade of Surya Brasil’s sophisticated natural color contains vegetable extracts including herbs and fruits from Brazil and India, which offer simultaneous coloration and deep conditioning treatment for the hair as well as intense treatment for the scalp. 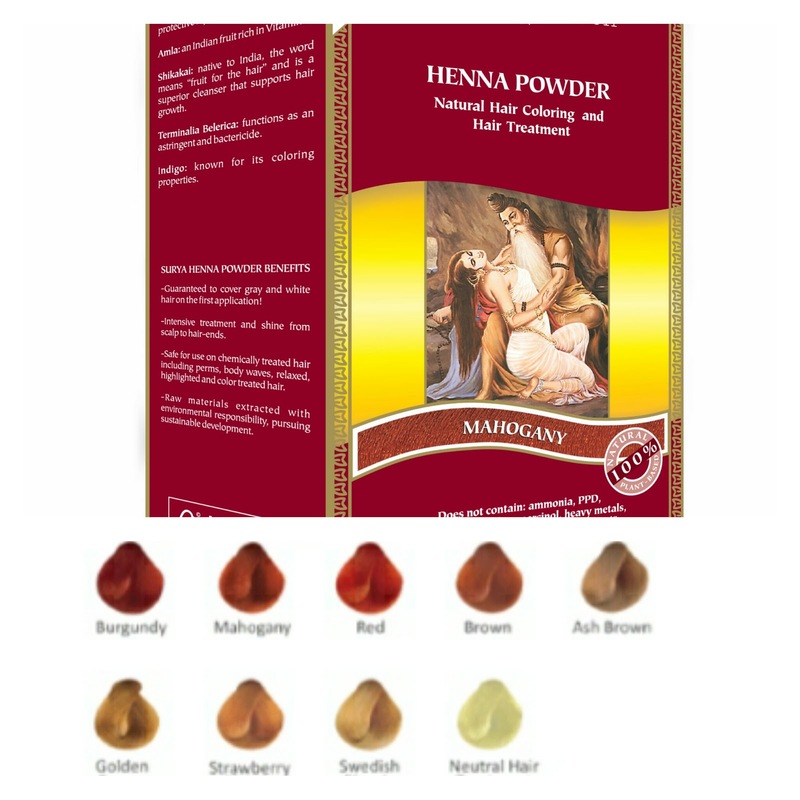 * The Henna Cream color is free-from ammonia, PPD, parabens, peroxide, resorcinol, heavy metals, artificial fragrance, mineral oils, GMO’s or gluten. Surya Brasil products are available at Whole Foods Markets, Pharmaca and Thrive Market. Surya Brasil is a Brazilian company leader in natural, organic and vegan cosmetics. Fully committed to environmental preservation, animal welfare and environmental responsibility, Surya Brasil is notably recognized for its vegan hair coloring, vegetable-based, with high performance and natural formulations sold in over 40 countries. 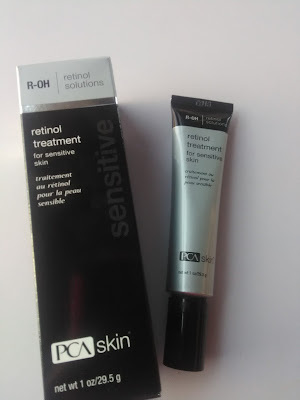 The products contain organic ingredients and are free of animal components and testing, with the aim of combining nature with technology to provide beauty with health. For more information, visit http://suryabrasilproducts.com/. Follow us on Facebook and @SuryaBrasil on Twitter. All information and images c/o press release/ press contact.